Iron is necessary for normal healthy blood formation and for the formation of haemoglobin and red blood cells. 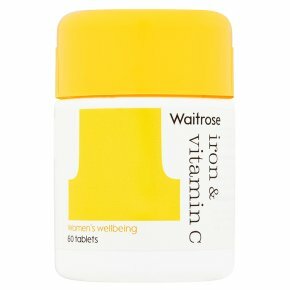 Vitamin C helps to support Iron absorption. Do not exceed the suggested daily dose. Do not purchase if seal is broken. Food supplements should not be used as a substitute for a balanced diet or healthy lifestyle. Keep out of the sight and reach of children. Not suitable for children under 12 years of age. Women who are pregnant or planning a pregnancy should consult their doctor before taking supplements. This product contains Iron which, if taken in excess, can be harmful to very young children.